We hope everyone had a fantastic Halloween. We would love to see your Halloween costumes! 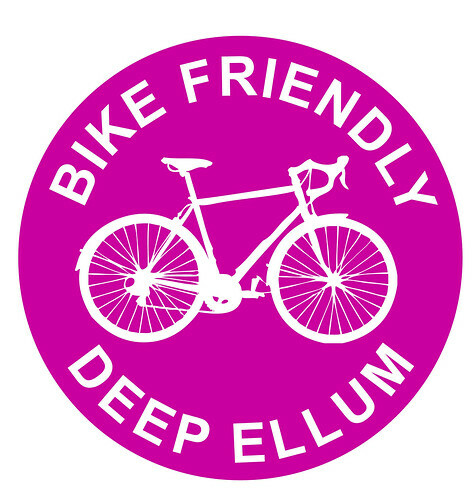 Post them on Facebook.com/BikeFriendlyDeepEllum. We had an owl join us on our grocery ride Sunday night. And BFDE’s own David Brindley and his wife, Becky, on the train. How cute. First Grocery Ride a Success! 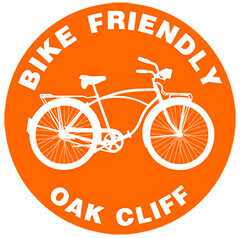 Thanks to all the BFDE fans who came out tonight to the grocery ride. Saw some familiar faces and new faces. Hope to see you all again next week! You need groceries for the first part of the week right? Well try grabbing a bag and a bike for this trip. It’s easy! 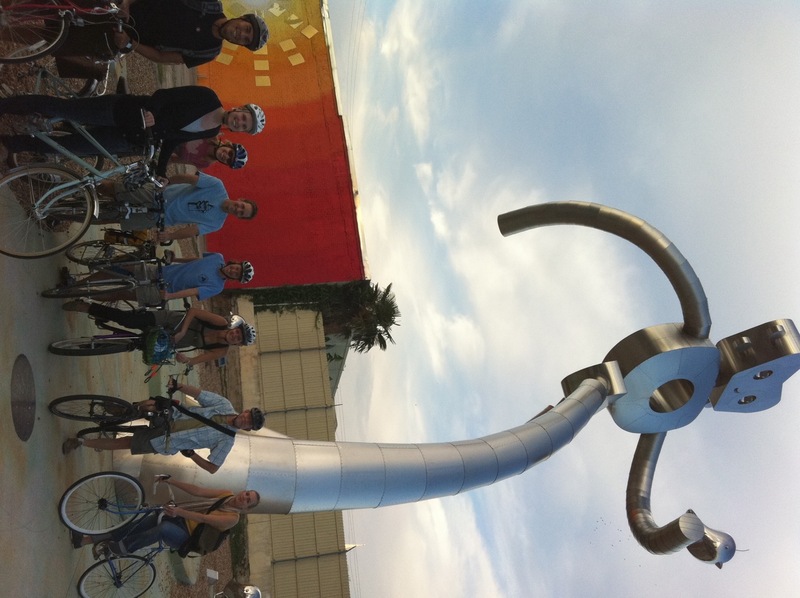 We will meet at the Travelling Man sculpture across from the Deep Ellum Dart Station and roll up to New Flower Farmers Market at Henderson and Ross. Don’t be afraid of shopping sans-car, we’ll show you how to do it. 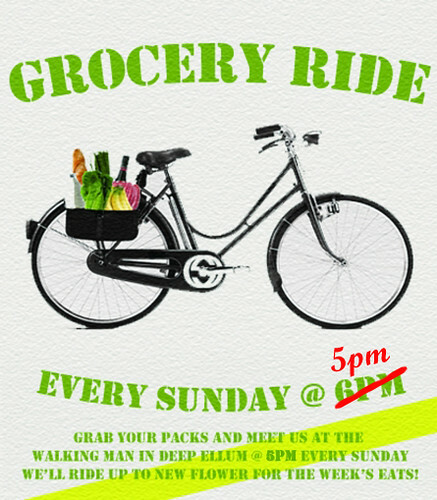 Join us every Sunday at 6pm for this casual ride, make a friend or two and maybe even learn a recipe from Becks!